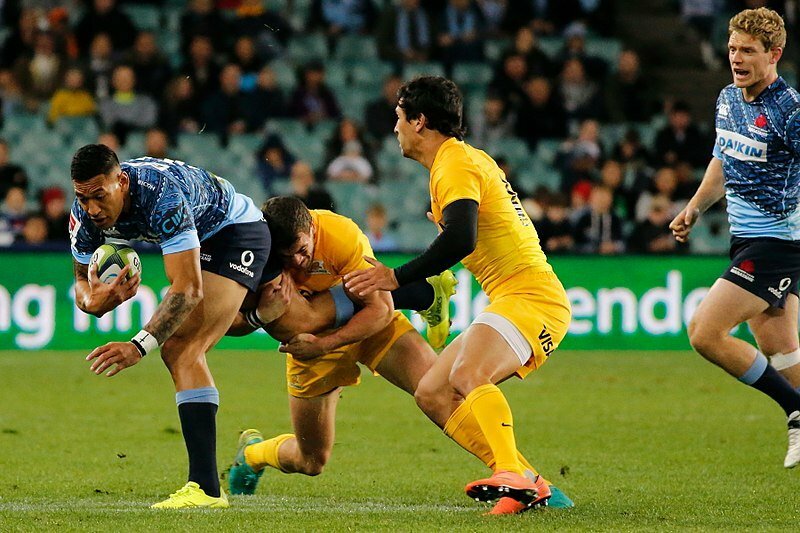 Over the weekend the Waratahs stumbled into the Super Rugby finals, going down 40-31 against the Brumbies and losing second place to the Lions from Johannesburg. Earlier the Rebels had lost to the Highlanders, but a bonus point for finishing within 7 points ensured that the Brumbies could not possibly overtake them. They were pushed out of 8th spot by the Sharks from Durban, who finished level with the Rebels on the ladder but 16 ahead on points for/against. The Waratahs are the only team from the Australian conference to make the finals, although the Rebels and Brumbies came 9th and 10th respectively, with the same win-loss ratio as the Sharks. They came third on the ladder as the conference winner with the fewest points, and will face potential trips to Johannesburg and then Christchurch to play in the final. The Super Rugby finals will feature the Crusaders playing the Sharks in Christchurch, the Lions hosting the Jaguares, the Waratahs welcoming the Highlanders to Sydney and a New Zealand derby between the Hurricanes and Chiefs. These will be a series of unpredictable games, with only the Crusaders looking safe after an absolutely dominant season. The Lions hosting the Jaguares will be interesting, as the Argentine team broke into the top 8 on a hot streak that saw them make a clean sweep of the Australian and New Zealand teams they faced on tour, then dominate the South Africa conference in the lead up to the international break. Since then they have stumbled, but still have the game to beat the Lions. The Waratahs have only won 1 out of 4 games against New Zealand sides this year, although the 3 defeats were all very close. The 1 win was against the Highlanders in Sydney, however, where the locals had an emphatic 41-12 victory. They will be looking for a repeat performance this weekend without their inspirational skipper Michael Hooper to kick off their Super Rugby finals campaign. The Hurricanes and Chiefs game is something of an anomaly, as on points they should have finished 2nd and 3rd behind the Crusaders, but have been knocked down by the conference system. The Chiefs beat the Hurricanes in Wellington over the weekend in a dress rehearsal for the Super Rugby finals, and will take a lot of confidence from that game.